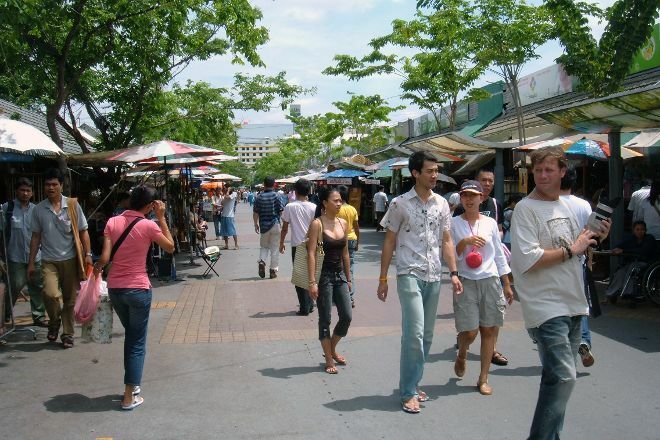 Browse the day away at Chatuchak Weekend Market, a popular covered retail space in the city center. Attracting over 200,000 visitors on a typical weekend, the huge market offers 27 separate areas of stalls, with over 8,000 individual vendors plying their trade. From collectibles, souvenirs, and clothes, to fresh food, restaurants, and household appliance stores, the market contains a mind-boggling range of products. Its sheer scale will likely impress even those who have nothing on their shopping list. 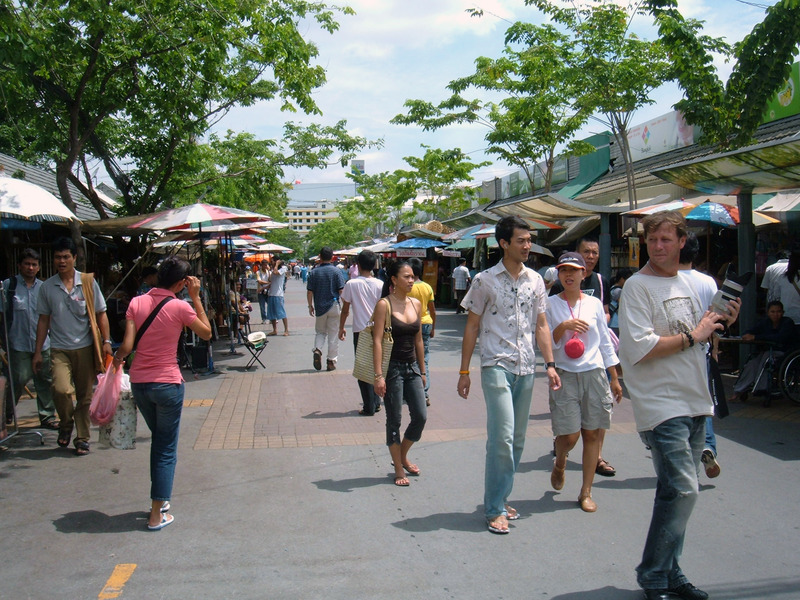 Use our Bangkok itinerary planning website to add Chatuchak Weekend Market and other attractions to your Bangkok vacation plans. I really enjoyed! had the information that this was the largest open-air market in the world and that only worked on Saturdays and Sundays. I thought it was a very popular market with stalls. What was not my surprise when I get there and see many stores well mounted, with quality products: perfume shops, antique shops, clothing stores and even crocodile handbag store. There are also many stalls, ice cream, snacks and sweets. Worth a visit! Wow! This place is incredible! So many people, so many little markets with all different kinds of things. I love it here! This market is for local people so they are very friendly. There is a lot to see and taste. Very good food and drinks. You can easily spend around 3-4 hours walking around here. You won't be disappointed. You never want miss to visit this vast traditional market in Bangkok. Explore half day and it still not over yet. Must spare one whole day because they open till 6 pm. Morning is the best time to visit because not over crowded with tourist or visitor. To Re charge your stamina again they had massage service of feet/body /or whole body for some duration time. Trust me you need to do the massage after a long exploration of the market. Before going, prepare lot bottle of drink and big backpack. You never know how much you spent for shopping. And need a lot of water because it is so hot there. A little tips for shipper. do some quantity shopping like buy 3 or more to get special discount price tag.